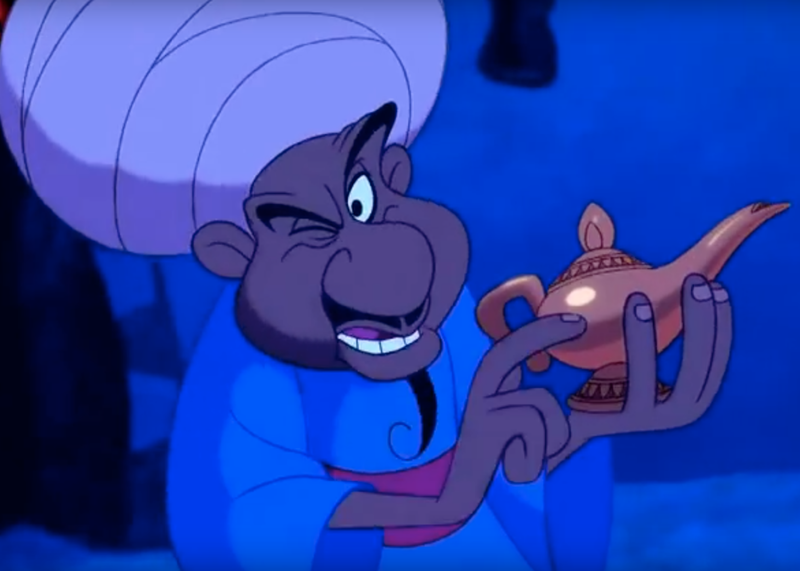 Aladdin director confirms a popular fan theory about The Merchant and Genie. Look at both characters: Blue clothes? Check. Red band around the waist? Check. Bushy eyebrows and a beard ending in a curl? Double check. If that’s not enough for you, how about the fact that they are the only two characters in the movie who only have four fingers? Oh, and they both just happen to be voiced by Robin Williams. That was the whole intention, originally. We even had that at the end of the movie, where he would reveal himself to be the Genie, and of course Robin did the voice of the peddler. Just through story changes and some editing, we lost the reveal at the end. So, that’s an urban legend that actually is true.